what is inside panakam ? There’s a reason why Panakam tastes heavenly: it is typically an offering to the gods. Traditionally made all over South India on Rama Navami, this Vedic drink has also been dubbed the go-to fave for gods Narasimha, Durga, Shakti, Mariyamman Devi – just to name a few. The original recipe features jaggery, water, drops of lemon, a tang of ginger and pepper, and is kissed with the fragrance of cardamom. Can you imagine that medley on a hot day? Legend has it that a particular temple in Andhra Pradesh even has an idol that guzzles copious quantities of this sweet-peppery-gingery drink every day. What we’re basically saying is that this drink is so good, even the gods can’t resist. 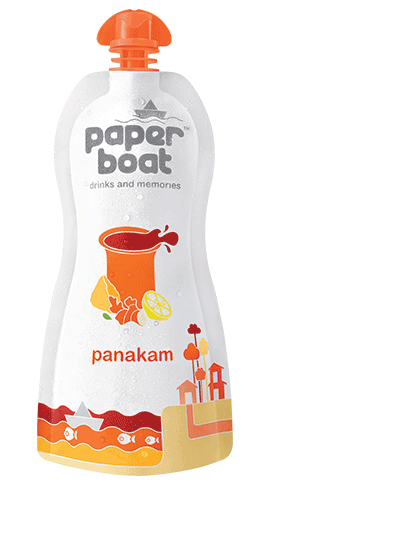 To us, the biggest functional benefit of Panakam is its unadulterated yumminess. Panakam, even at room temperature, feels like it has been refrigerated. It’s that first-ranker first-bencher super-achiever popular friend of yours who just can’t help being cool. Its body-coolant properties are so renowned that historically, it has been listed as an item in Smallpox care kits. Like… You can’t make that stuff up. Everything about Panakam spells health. Jaggery, nature’s best sweetener, is packed with electrolytes that beat dehydration, and is also rich in minerals like iron, potassium, magnesium. Ginger brings anti-oxidant and astringent properties to the table, and the overall concoction is said to be good for a whole host of issues: from ulcers to asthma to heart disea… OMG! It just struck us that *this* might be the secret to ever-lasting life! We’ll report our findings on this hypothesis in about 100 years. Until then, please, sip away! Copyright © 2013 – 2019 Hector Beverages Private Limited. All Rights Reserved.